Home THE JOURNAL Rosehip BioRegenerate Oil: The ultimate multi-tasker for sensitive skin. This bestselling skin hero is the ultimate multi-tasker. With regular use, it deeply conditions skin, improving firmness and elasticity and promoting a clear, even skin tone. In the early days of Pai, they only used rosehip oil as an ingredient in their Chamomile & Rosehip Calming Day Cream - but they noticed the market was full of organic, cold-pressed rosehip oils that were pale and smelt bad. This isn't how Rosehip Oil should be! 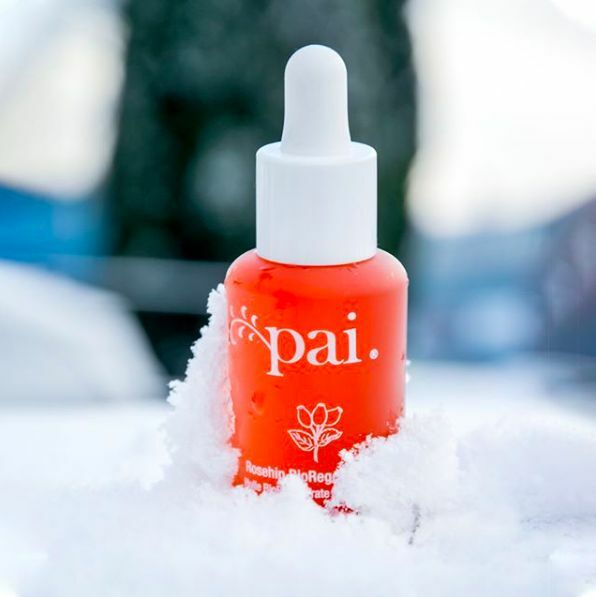 Pai wanted to create an Oil that was more effective, fresher and longer-lasting, so they use volcanically sourced CO2 supercritical extraction to derive a unique blend of Rosehip fruit and seed oil. It's more expensive than cold-pressing but it’s the gentlest way to extract these incredible oils and it allows Pai to preserve the complete properties of the plant without oxidation or contamination. Completely free from GM ingredients and grown without pesticides or synthetic chemicals, the Pai Rosehip BioRegenerate Oil is certified organic by the Soil Association.